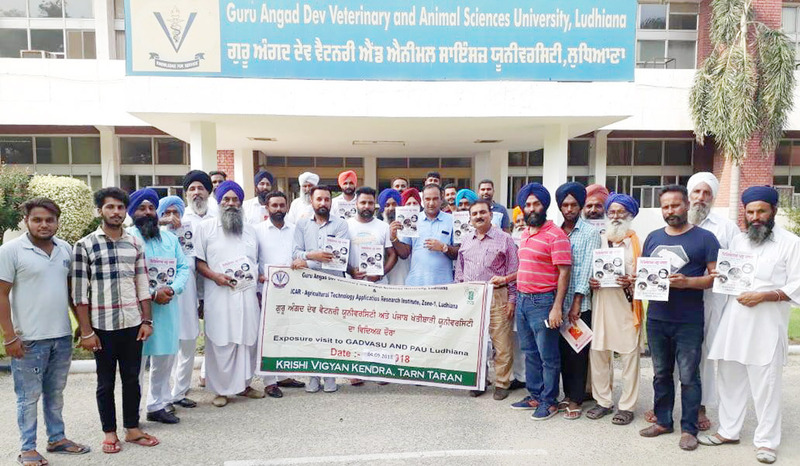 Krishi Vigyan Kendra, Booh, Tarn Taran of Guru Angad Dev Veterinary and Animal Sciences University, Ludhiana organised a vocational training programme on “New Techniques for In-Situ crop residue management under a project on "Promotion of Agricultural Mechanization and Machinery for In- situ Management of Crop Residues" at Krishi Vigyan Kendra, Tarn Taran. Twenty five farmers participated in this training programme. Dr. Balwinder Kumar, Deputy Director (Training) of KVK welcomed all the farmers and stressed the importance of In-situ paddy straw management among the farmers for the protection of the environment. S. Navjot Singh Brar, course coordinator, provided insight on importance of cultivation of short duration rice varieties for saving of the water and time for next crop sowing. Further, he also discussed about sowing of wheat with happy seeder in paddy field harvested with Super SMS attached combine harvest. Dr. Anil Kumar, Assistant Professor (Soil Sciences) discussed importance of in-situ crop residue management in maintaining soil fertility. Sh. Nirmal Singh, Assistant Prof (Horticulture) discussed about the various implements available for the cultivation of vegetables without burning of paddy straw. Dr. Amandeep Singh Brar, Deputy Director and Er. 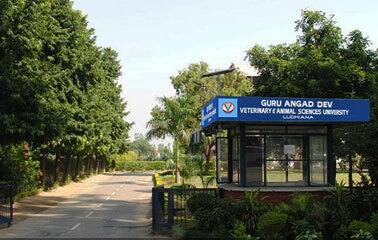 Ankit Sharma from KVK Moga, Dr. Parminder Kaur, DES-FASS, Tarn Taran, Sh. J.P. Singh, AR-Patti, Dr. Harinderjeet Singh, CAO, Tarn Taran and S. Gurbachan Singh, progressive farmer also put light on different topics on crop residue management. An exposure visit to University campus, Ludhiana and Department of Farm Machinery and Power Engineering, PAU, Ludhiana was arranged. During this visit, Dr. H.K Verma, Director of Extension Education, gave detailed information about benefits of paddy straw in feeding of dairy animals and to cut down the feeding cost. Dr Verma said Paddy straw can be treated with urea for better utilization in livestock feeding. 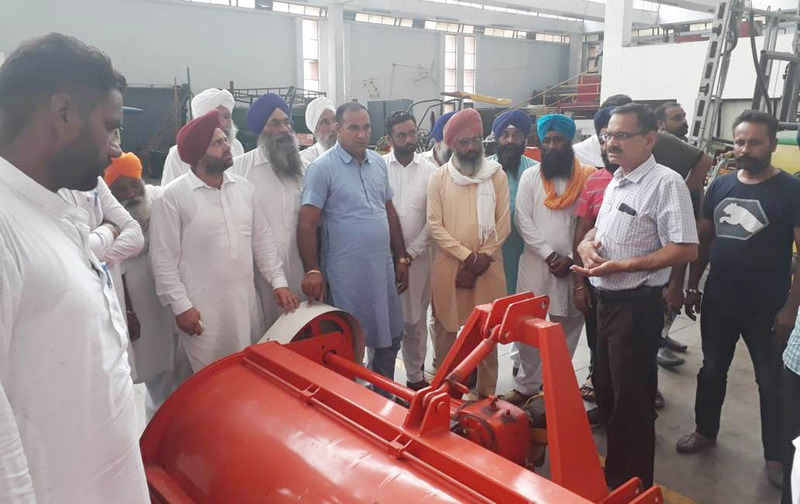 Dr. Mahesh Kumar Narang, Dr. S.S Thakur and Dr. Baldev Dogra of Department of Farm Machinery and Power Engineering, PAU, Ludhiana also gave hands on training to the farmers regarding use of various implements for paddy straw management. All the farmers assured that they will disseminate message of KVK for not to burn paddy straw to every farmer of district Tarn Taran and will put their whole effort for residue management. They appreciated the effort of KVK for organising such programme.